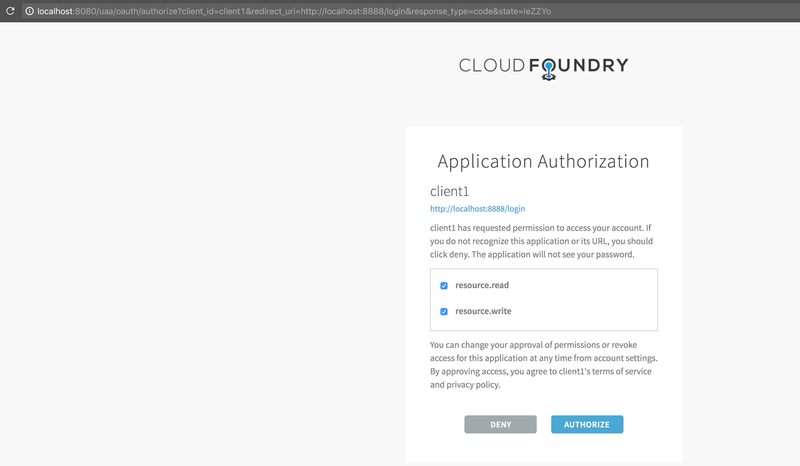 In a previous post I had gone over how to bring up an OAuth2 authorization server using Cloud Foundry UAA project and populating it with some of the actors involved in a OAuth2 Authorization Code flow. 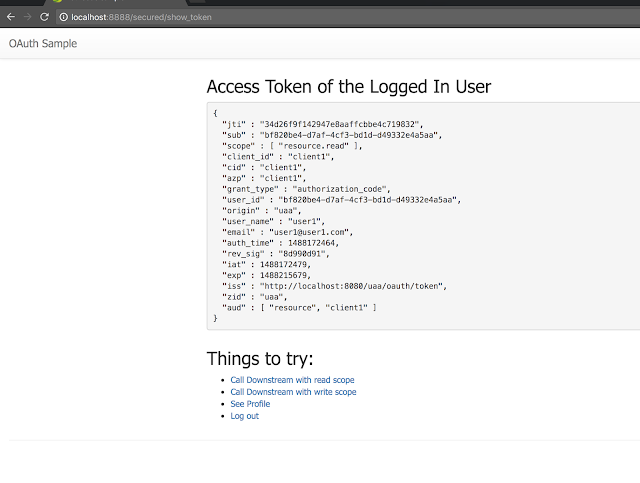 I have found this article at the Digital Ocean site does a great job of describing the OAuth2 Authorization code flow, so instead of rehashing what is involved in this flow I will directly jump into implementing this flow using Spring Boot/Spring Security. I will have two applications - a resource server exposing some resources of a user, and a client application that wants to access those resources on behalf of a user. 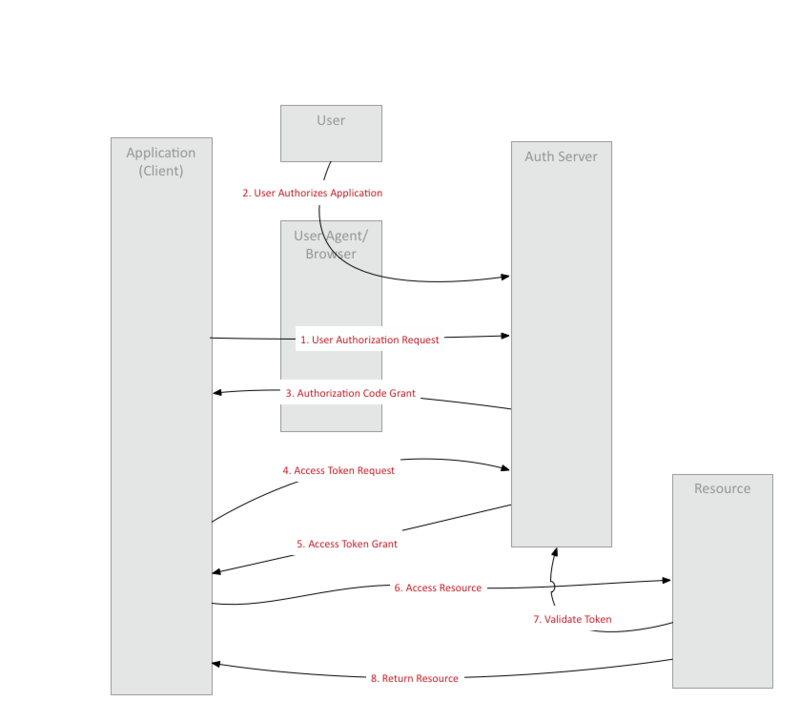 The Authorization server itself can be brought up as described in the previous blog post. 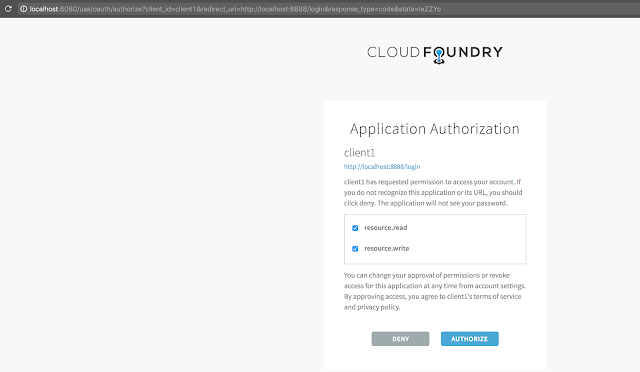 The Cloud Foundry UAA server can be easily brought up using the steps described in my previous blog post. Once it is up the following uaac commands can be used for populating the different credentials required to run the sample. These scripts will create a client credential for the client app and add a user called "user1" with a scope of "resource.read" and "resource.write". There are two endpoint uri's being exposed - "/secured/read" authorized for scope "resource.read" and "/secured/write" authorized for scope "resource.write"
This configuration along with properties describing how the token is to be validated is all that is required to get the resource server running. Yes, thanks alaa, will make these changes.